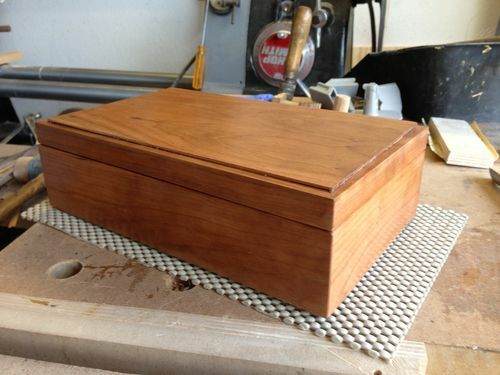 This was the prototype box for the treasure wedding box I built for my son. Simple brass hinges for the Blue BORG store. Buffed on my triple buff and finishing wax buffed out. 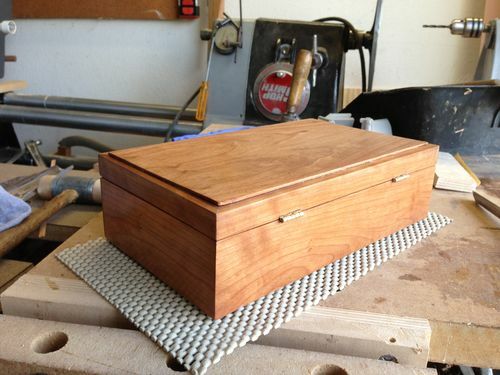 Nice box and beautiful wood…well done and thanks for sharing. Very nice. The finish looks great. I wouldn’t say mastered. There are plenty of flaws and rookie mistakes on this box. But Thanks. It’s a 1955 Mark V BTW not a 10 ER. But thanks for noticing. It’s lovely, Terry. 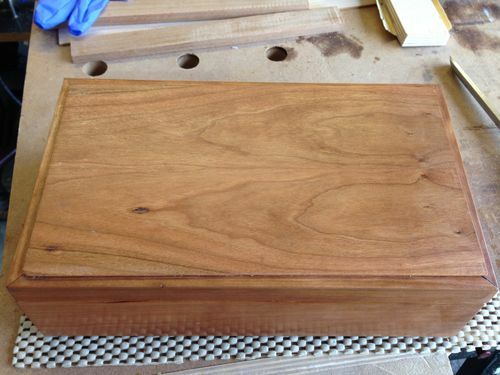 That cherry will darken and take on a whole new look in a few years. 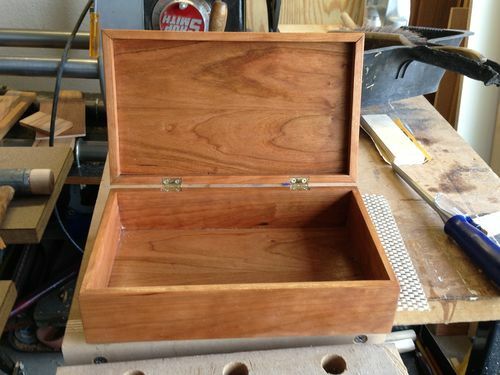 Great box.